A Grieving Brother Finds Solace In His Sister's 'Small Town' Philadelphia journalist and author Rod Dreher moved back to his hometown in Louisiana after his sister died there in 2010, and adopted the community she left behind. His experiences led to the book The Little Way of Ruthie Leming: A Southern Girl, a Small Town, and the Secret of a Good Life. 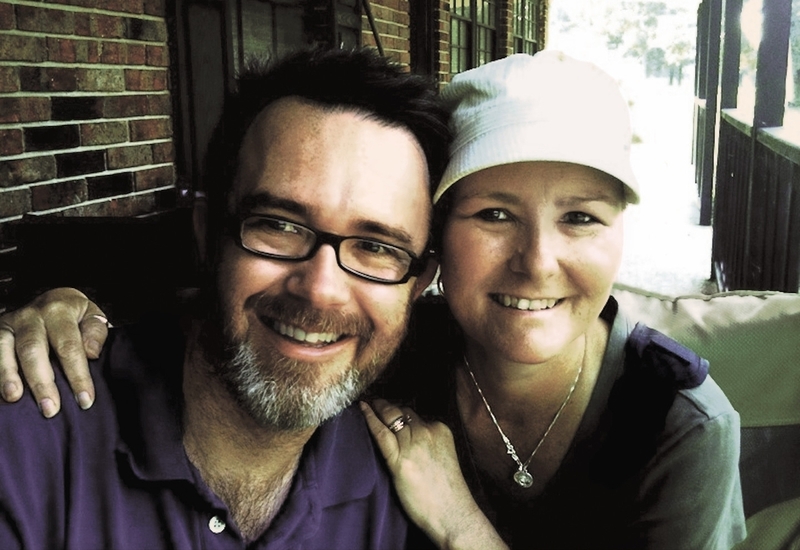 Brother and sister Rod Dreher and Ruthie Leming grew up in a small town in rural Louisiana. Dreher left the tightknit community to pursue a journalism career but returned home after Leming died of lung cancer in 2010. 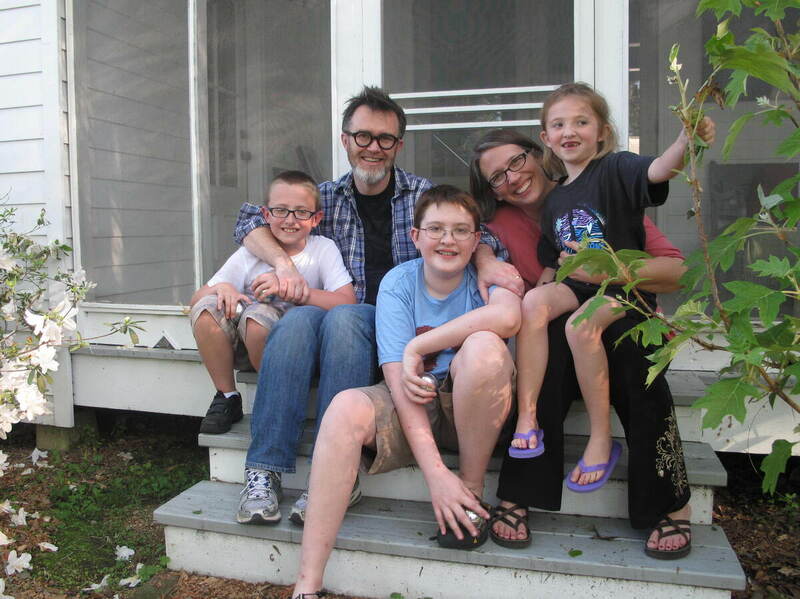 When he was a teenager, journalist Rod Dreher couldn't wait to escape Louisiana. Now he has found his way home again in grief — after his sister's death from lung cancer. It was "in light" of that tragedy, Dreher says, that he discovered the value of community. It's the subject of his new book, The Little Way of Ruthie Leming: A Southern Girl, a Small Town, and the Secret of a Good Life. 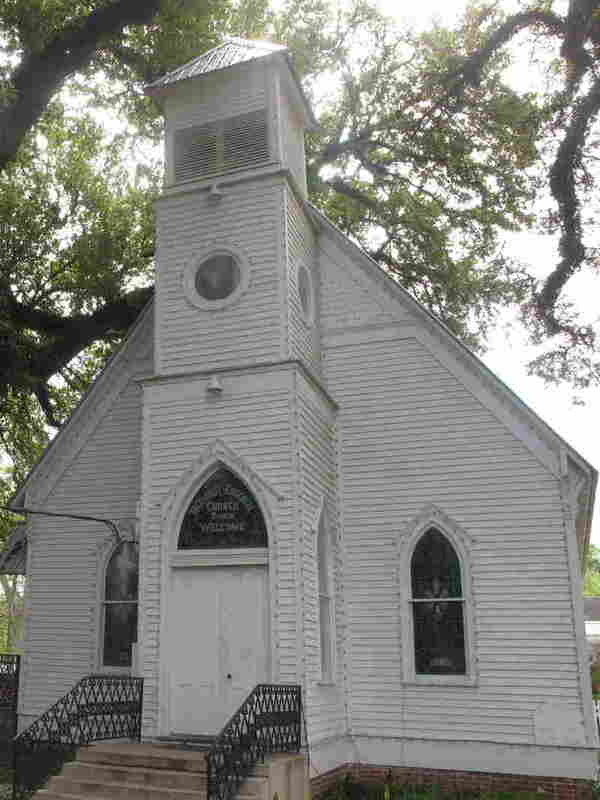 Dreher's new home is on a historic block in St. Francisville, La., population 1,700. The houses have welcoming, wide front porches. Just around the corner, tucked between sprawling oaks, is the United Methodist Church he attended growing up, and where Ruthie Leming's funeral was held a year and a half ago. "People waited for hours for her wake to come in and pay their respects," Dreher says. "It was a moment of intense grace." Inside the narthex is the rope for the church bell. As kids, he says, he and Ruthie would "jump up and grab the knots on the rope and pull the bell down after church." Leming was just 42 when she died — a beloved middle school teacher married to Mike Leming, an Iraq War veteran and local firefighter. The town was rocked by her diagnosis. The Lemings had touched many families here in some way or another. And during her 19-month struggle with cancer, the community touched back in countless ways — caring for their three daughters, cooking meals and raising money for her medical bills. This outpouring for his little sister struck Dreher, who was living in Philadelphia with his family at the time. "It was an icon for me of what it means to live in a small town where everybody knows everybody else," Dreher says. "As a younger man, all that meant to me was everybody knows your business and they want to hold you back. But I came to realize that the same social bonds that held me back as a young man were the things that was holding my family together and holding them up in their time of crisis." Dreher had long ago left this part of Louisiana, just up the Mississippi River from Baton Rouge. His journalism career had taken him to Washington, D.C., New York and Dallas. He'd become a city dweller who rubbed shoulders with important and famous people. During those years away, a divide was growing. "People waited for hours for her wake to come in and pay their respects," Dreher says of the United Methodist Church where his sister was buried. "It was a moment of intense grace." "It was very hard for my family to understand why I did what I did, in part because they were such people of the place and of the land," says Dreher. In particular, his father and sister Ruthie thought Rod's place was back home with them. "They saw my desiring something different as a sign of disorder and disloyalty, and of rejection," Dreher says, "and that's something Ruthie and I never were able to resolve." 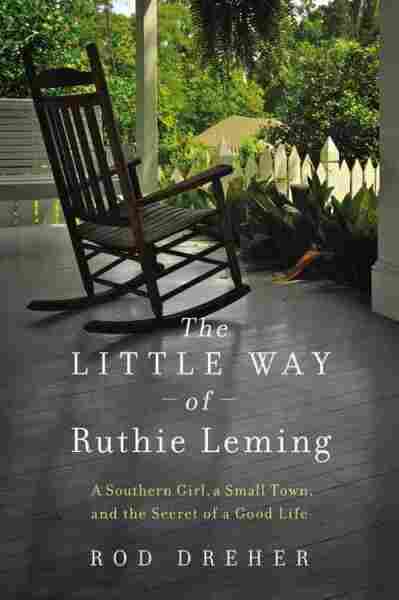 The Little Way of Ruthie Leming is part memoir, part tribute and part exploration of the cultural ties that bind. A key character in the book is St. Francisville doctor Tim Lindsay. His daughter is a close friend of one of the Leming girls. Ruthie Leming went to him for a second opinion about a nagging cough. "I noticed there was something not right," Lindsay says. Ruthie was so short of breath, she couldn't finish her sentences. Tests confirmed the worst — lung cancer. And it spread to her brain. "It actually is the blessing and the curse of being in my own hometown practicing medicine," Lindsay says. "The blessing is I get to have a front-row seat to these real-life dramas — that I'm able to serve in a way with people that I know, that I love and that I'm invested in. The curse is it might be my daughter's best friend's mom." Rod Dreher sat down on his porch with NPR's Debbie Elliott to read an excerpt from his book. The response from people like Tim and Laura Lindsay and other family friends got Dreher thinking about what his sister was building back home while he was off pursuing his career. The barn dances, campfires and lazy days down by the creek, he writes, are "like a levee" they "had spent a lifetime building together." And in the catastrophe of her cancer, the levee was holding. Starhill is the rural community outside St. Francisville where the Drehers have lived for four generations. Ruthie and her friends spent most weekends here at the camp of Ronnie Morgan, a longtime friend and neighbor. It's a sprawling expanse of green that leads down to the white sand beaches of Thompson Creek. On an early spring evening, Dorothy Dreher, Rod and Ruthie's mom, joins a gathering where close friend Abby Temple Cochran has spread a mess of boiled crawfish over newspaper. 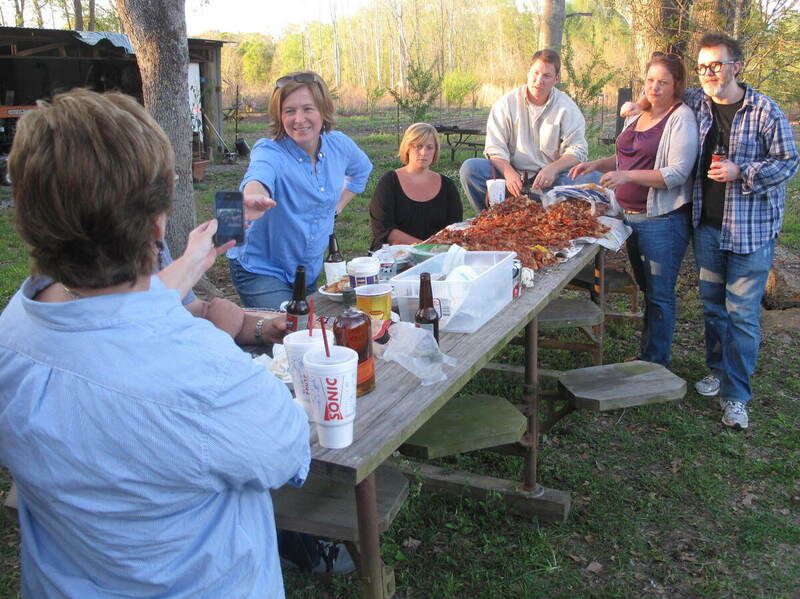 Ruthie Leming's friends and Rod Dreher (right) gather for a crawfish boil at Ronnie Morgan's camp by the Starhill Riviera. "When I'm gone," Morgan says, "the only thing that's going to show up to say I was here is the people I left behind." Everybody calls Dorothy Dreher "Mam." She seems to enjoy Ruthie's friends telling the story of how they stood watch with her casket the night before the funeral, painting her nails and sprinkling in a little sand from what they call the Starhill Riviera. "I bedazzled her," says Ashley Harvey. "We glittered her up," adds Temple Cochran. The next day, Ruthie's pallbearers were barefoot as they carried her casket to the Starhill cemetery, in honor of Ruthie's carefree spirit and general dislike of footwear. These are all stories that Rod Dreher tells in The Little Way of Ruthie Leming. "I finally got through it, but it was hard," his mother says. "It was reliving what I already lived ... and told the truth about things you know. We're just normal people. We're just ol' country people." Through her illness, Ruthie forced a good face and didn't let her family think about the worst. "Even though I saw it," her mother says, "you just keep thinking: Well, I got another day." The Drehers — Lucas (from left), Rod, Matthew, Julie and Nora — sit on the side stoop at their new home in St. Francisville, La. Neighbor Ronnie Morgan was there when the days ran out. "It was just like losing one of your own," he says. It's hard to talk about that day, so Morgan changes the subject and, always quick with a joke, starts ribbing Rod. "He was way too smart for Starhill," he chuckles. The joke hits a nerve. It's the same struggle Dreher had with his sister and his father. The two men stand in the rustic wood-paneled camp house — Morgan decked in overalls and sipping a can of Miller beer, Dreher in his heavy horn-rimmed glasses with a Strawberry Ale, both reaching for common ground. Morgan tells Dreher that some good has come from the family's tragedy. "Well, first place, it showed you what the true meaning of life was ... the family and your values," Morgan says. "You can't buy that. When I'm gone, the only thing that's going to show up to say I was here is the people I left behind." In the book, Dreher quotes Leming's husband, Mike, telling a friend, "We're leaning, but we're leaning on each other." And that's the Louisiana community that Rod Dreher once again calls home.